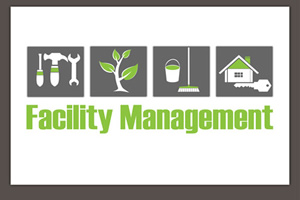 It takes a lot to make a facility run smoothly. BayTec Containers can help. 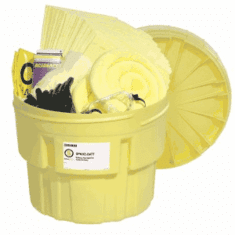 We offer a wide range of products for building protection, carts and hand trucks, waste management necessities, traffic control products, and general warehouse management needs. 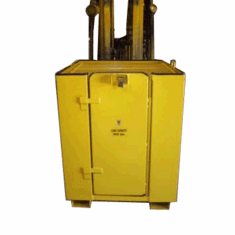 Column Protectors- What happens if a 7,000 lb forklift runs into a column in your warehouse? 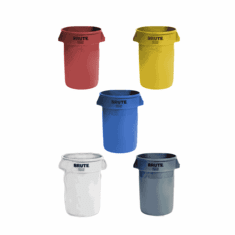 Premium column protectors from BayTec Containers cushion the blow. 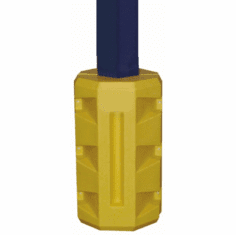 What's more, these column protectors come in a range of sizes and assemble in 5 minutes with no tools required. 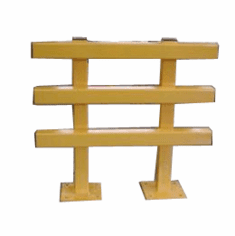 Barricades- In some places, barriers are necessary for traffic control, crowd control, safety areas, restricted areas, or no-parking areas. 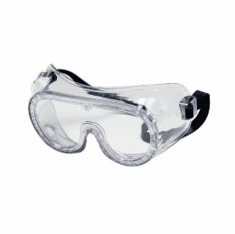 This protection is frequently used in factories, airports, construction sites, and in an area that requires separation from regular traffic. 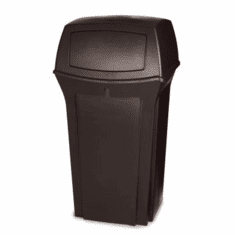 Post Sleeves and Wall Guards - Cover surfaces that could be chipped or damaged with post sleeves - high-density polyethylene (HDPE) for resistance to all weather conditions - or wall guards that feature unique energy absorbing high-density polyethylene construction. Cable Protection - Don't leave cables exposed to pedestrians who could fall over them or to vehicle traffic, protect them! 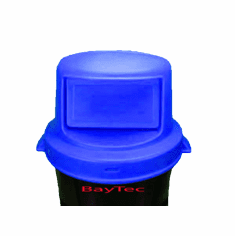 BayTec Containers offers a cable protection system that provides full protection for cables. S-curves are easily made while maintaining a completely flat profile. Simple snap-in assembly, no tools or cutting required. Cables can be left in the system and coiled around a three-foot diameter for the ultimate in portability, or left in place indefinitely. 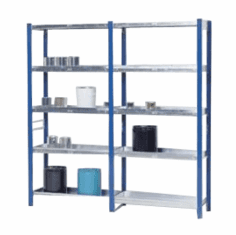 Carts - Our heavy gauge steel as well as our plastic carts are sturdy and reliable - offered in a range of styles and sizes. Our Little Giant� all-welded, heavy-gauge steel carts feature a tough, powder-coated finish for greater strength, durability, and longevity. Optional features include a retaining lip to help prevent objects from falling off the cart while being moved. Available in sizes as large as 30" x 60". 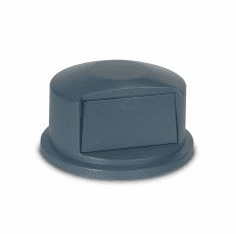 Need a locking door on your cart to protect instruments or equipment? 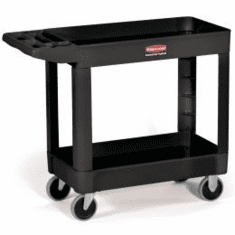 See our selection of Rubbermaid� carts. Trucks - Available in a range of sizes with capacities from 300 lbs to 2100 lbs, these tough trucks are up to the tasks in your facility. 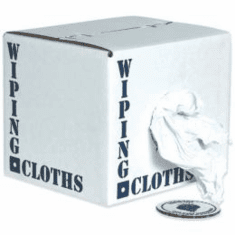 Choose the right truck for waste collection, material transport, laundry management, and more. Trucks for heavy duty tasks can transport loads up to 1800 lbs. Need to move a vending machine or other tall cargo? Consider this truck HDVS-72. Check out our full selection and find the truck designed for heavy loads that meet your needs. 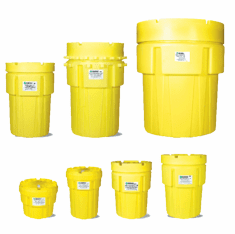 Oil Safe Lubrication System Containers - Designed for proper storage and easy use, opaque semi-transparent containers allow liquid levels to be monitored. 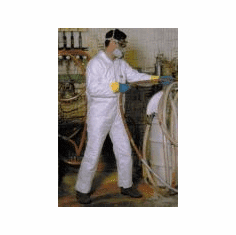 Heavy walled, high-density polyethylene construction for use in industrial environments provide a service temperature range of -40� F to 176� F.
Maintenance Platforms and Step Stools in a range of sizes help get you to the right height to perform maintenance tasks in your facility. 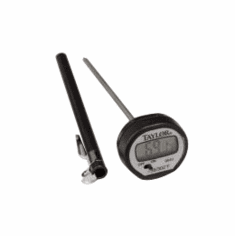 Made for industrial use, they are sturdy and reliable. 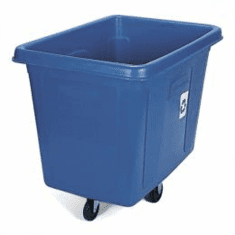 Utility Carts in a range of sizes hold up to 750 lbs but are lightweight and maneuverable to facilitate facility maintenance projects. 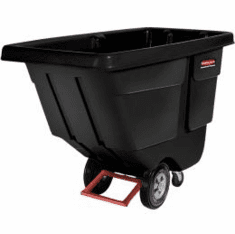 Rubbermaid� Heavy-Duty Utility/Service Carts are made of sturdy structural foam construction they won't rust, dent, chip, or peel. Rounded corners help protect walls and furniture. 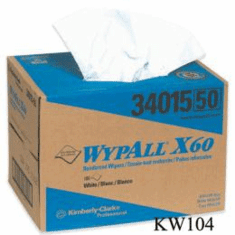 Industrial Wipes, Hand Cleaner Towels and Wiping Cloths are industrial strength to handle tough maintenance tasks. Ultra-Ever Dry top coat and bottom coat work together to keep moisture away because many products fail from moisture, water, oil or simply getting too dirty for continued use. 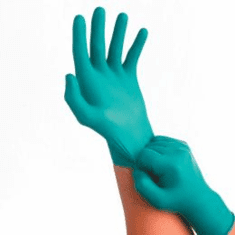 This superhydrophobic coating can extend the life of work gloves and other PPE, electric motors by preventing moisture on the windings, coat nuts, and bolts to prevent corrosion, coat tools, equipment, and virtually any item that needs to be kept dry, corrosion free, de-iced, uncontaminated or clean. 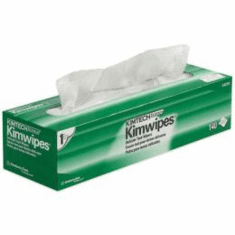 Protective wear (sold separately) must be worn when applying Ultra-Ever Dry. 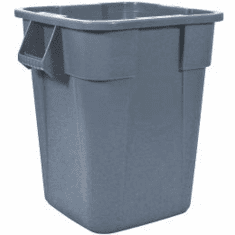 Container Liners by Rubbermaid� is available in 32 and 50-gallon sizes. 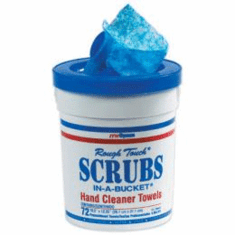 Ideal for janitorial, housekeeping, and everyday use. Expanding, Portable Barricades, Traffic Cones, and Floor Safety Signs help keep pedestrian and vehicle traffic in designated areas. 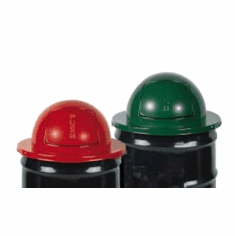 Made for industrial use to help you control traffic flow and keep it away from wet or potentially dangerous areas. Striping Machines, Paint, and Extra Rollers - Mark your warehouse or parking lot with 2" - 4" lines of durable paint to designate traffic areas. 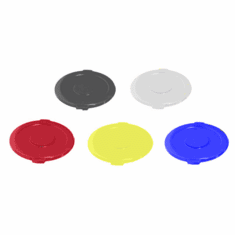 Vinyl Safety Marking Tape and Applicator - Keep traffic flow where you want it with durable vinyl marking tape, available in two color combinations: black/yellow or red/white. 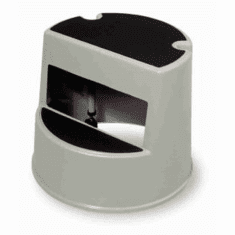 Applicator handles tape widths from 0.75" to 4" and 3" diameter. 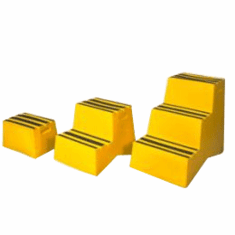 Heavy-duty Hoppers - capacities range from 2,000 to 6,000 lbs. 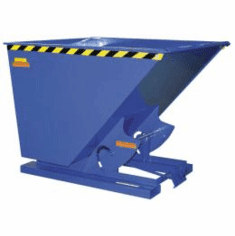 Heavy-duty self-dumping steel hoppers automatically dump at a 70� angle when the bumper release makes contact with the side of the dumpster (also includes a cable for manual operation). 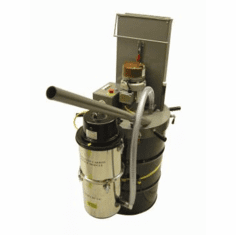 Heavy Duty Hopper returns to an upright and locked position automatically after it dumps. 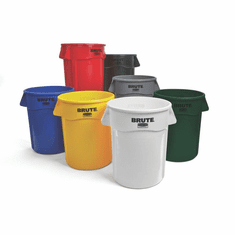 Rubbermaid� Container Liners help keep waste storage and disposal under control. 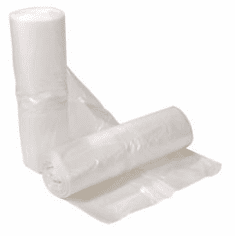 LLDPE (Linear Low-Density Polyethylene), liners are available ranging in size from 20-gallon to 55-gallon capacities. 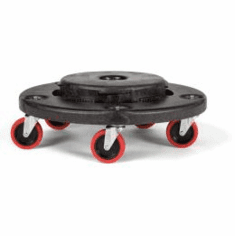 Rubbermaid� Brute� Dollies - When you need to move a Brute� container, your job can be easier if you have a dolly. 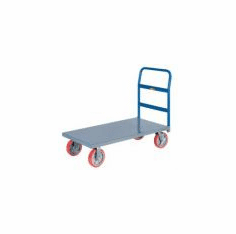 Need a trainable dolly? We have one of those, too. 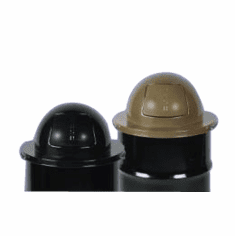 Smoking Receptacles - help keep your smoking areas clean, not littered with cigarette butts. 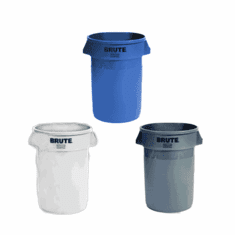 Rubbermaid� GroundsKeeper� receptacles in a choice of styles feature a hygienic, easy-to-service, steel canister. 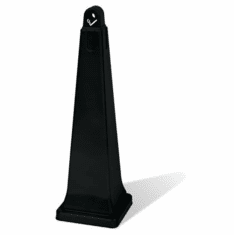 A steel base adds weight for stability and discourages theft. 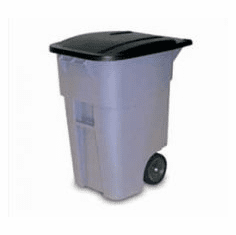 Waste Containers, Lids, and Trucks by Rubbermaid� are available in a wide range of sizes and styles to help you manage your waste control operations. 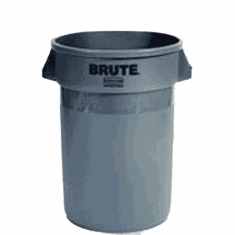 Lamp and Can/Bottle Recycling Containers - Recycle properly, starting by placing items in an appropriate container.